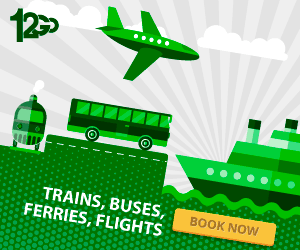 So you’ve arrived in a new city and don’t know your way around yet. What to do first? Check out a rooftop bar, of course! 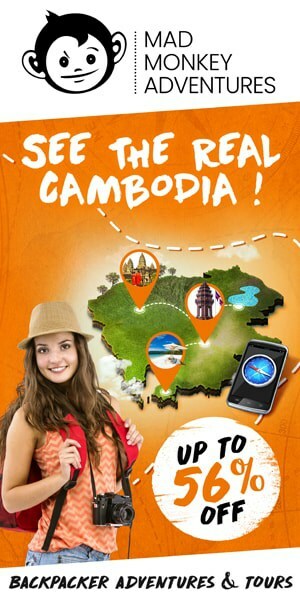 The vantage point from a rooftop in Phnom Penh will help you orient yourself and get to know the city from above. In a city that’s rapidly growing, nearly every new high-rise is opening a bar at the top, giving you plenty to choose from. 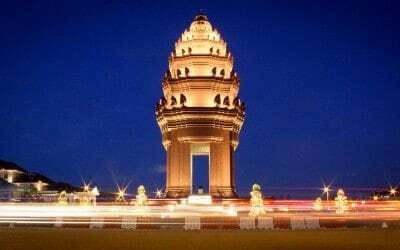 Phnom Penh’s nightlife and rooftops in general vary from divey to classy and include everything in between. 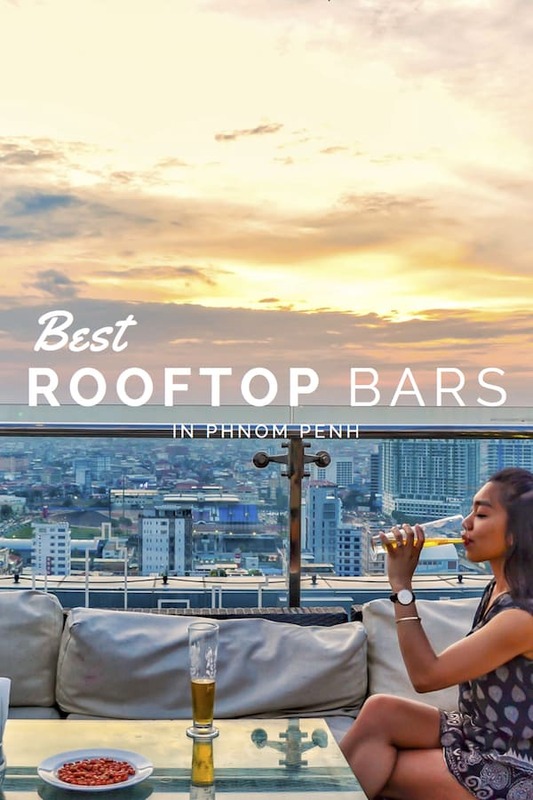 Here’s our list of the best rooftop bars in Phnom Penh – we’ve included some price tips and Happy Hour times so you know when to get the most bang for your buck! *NOTE: Prices and hours updated February 2018. Beer prices are for the cheapest beer available (usually from the tap). 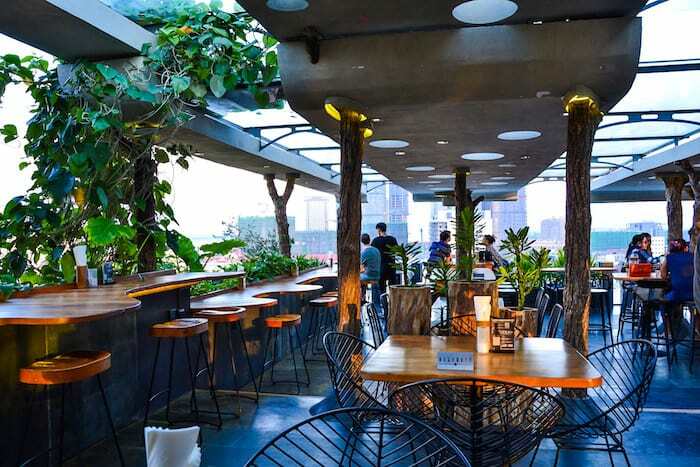 Overlooking Tuol Tom Poung, Sundown Social Club is the perfect place to relax after meandering through the maze-like lanes of the market. 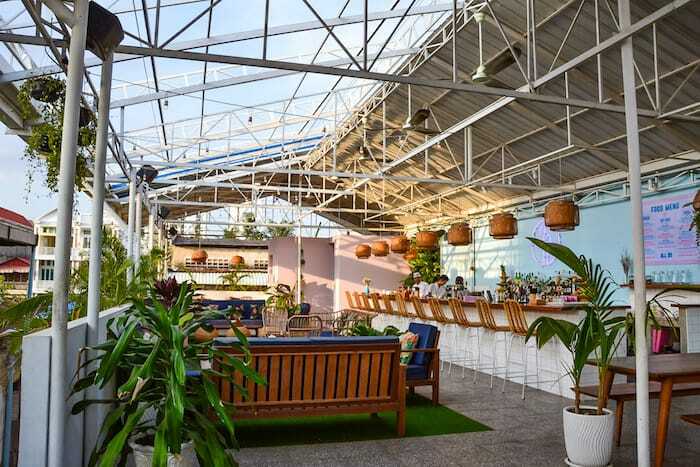 The tropical vibes transport you out of the chaotic center of Phnom Penh to a breezy, modern bar where you’re surrounded by lush plants with a tiki cocktail in hand. They’ve got one of the best Happy Hour menus with $3-$4 Aperitifs or if you’re extra thirsty, try out one of their delicious cocktail jugs. The iconic Foreign Correspondent’s Club, once the meeting place for journalists from around the world, is now a casual riverside bar that’s perfect for people watching. 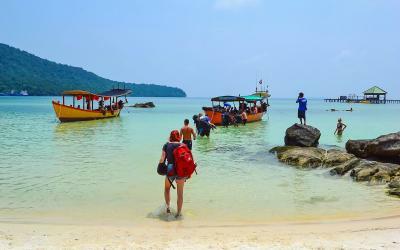 It’s situated on the riverfront and has plenty of seating and an extensive menu. 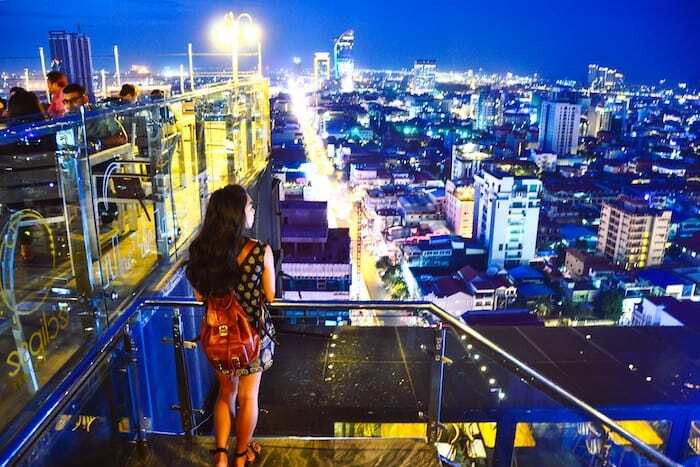 Sitting on the 23rd floor of the Phnom Penh Tower, the Eclipse Sky Bar is one of the tallest rooftop bars in the city. 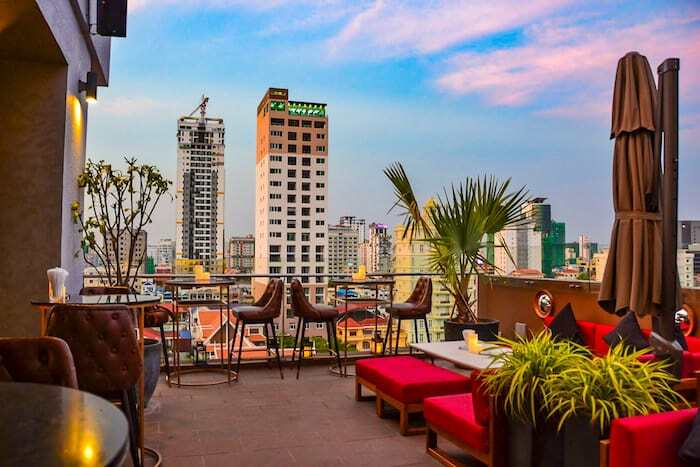 This expansive rooftop has sweeping views of Phnom Penh and is easily one of the best places to catch a stunning sunset. 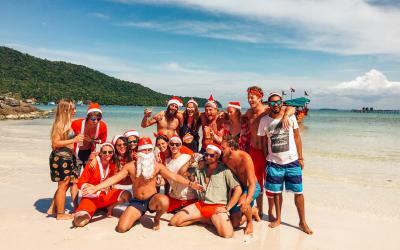 They also know how to throw a proper party – check their Facebook for upcoming events! Perched only on the third floor, Le Moon still manages to have one of the best views on this list. 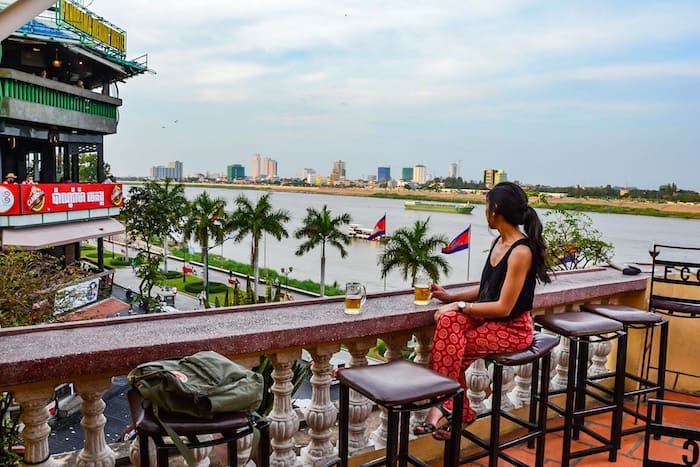 This riverside bar welcomes the breeze and offers a view of the nearby temple, Wat Ounalom, the Tonle Sap and Mekong rivers, and the bustling streets below – the perfect view of the juxtaposition of Phnom Penh’s old and new worlds. This ultra modern bar is my personal favorite on the list because of its open layout and abundance of foliage. The array of plants keeps this rooftop cool and there’s also a pool if it’s especially hot out. 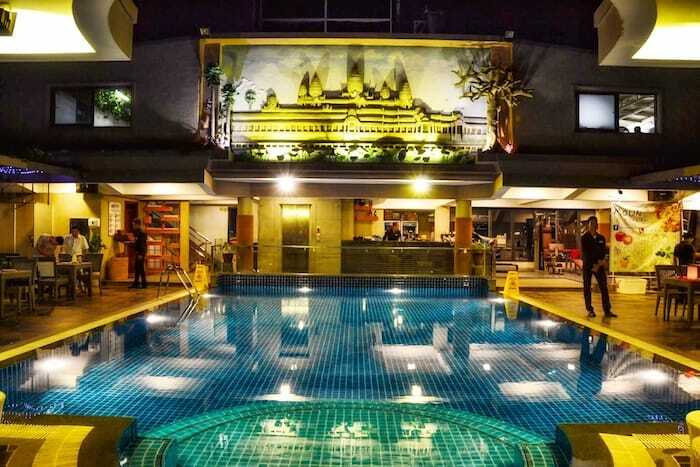 Situated right near Aeon Mall, Vehaa is the perfect place to hit up after a day of shopping. The only thing better than amazing views and delicious cocktails is pizza to go with it! While Moon Pizza Bar may not have the best views of the lot, their 2 for 1 wood fired pizzas capture the hearts of many. Atop the 13th floor of Essence Hotel, Moon Pizza also has a beautiful pool you can take a dip in. As soon as you step off the elevator, you’re welcomed into luxury at Deva. This sophisticated bar has plenty of lounge space and couches for large parties and its dim lighting is ideal for intimate conversation. A bit on the pricier side, Deva offers a variety of signature cocktails and wines you can splurge on. 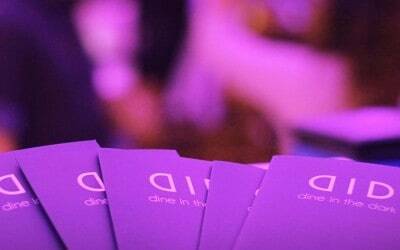 Lumiere is another posh option, for those looking for a nice evening out. They also often have live music in their classy indoor space – check their Facebook for event updates. 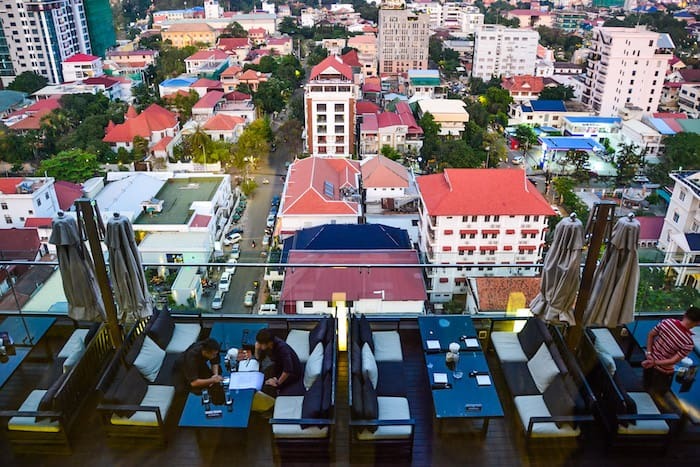 The high ceilings and elegant lighting provide a perfect ambiance to dine under with a spectacular view of Phnom Penh. The outdoor area has plenty of cozy couches for more casual occasions. 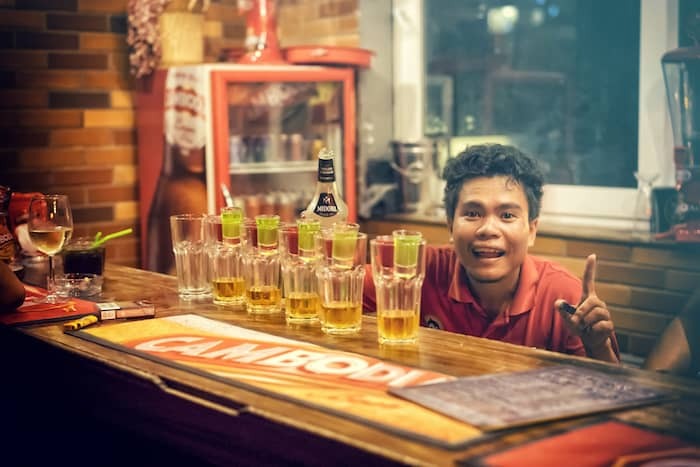 Happy Hour Specials: Wednesday, Friday and Saturday 5pm-9pm – Buy 1 get 1 free Tiger/Angkor beer, whiskey and house wines. Saturday all day – Buy 1 get 1 free signature cocktails. 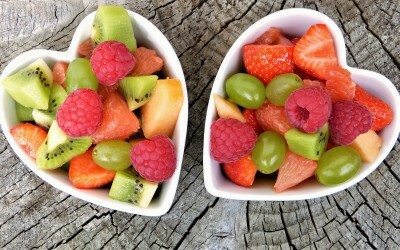 We’ve done our research, now go do yours! 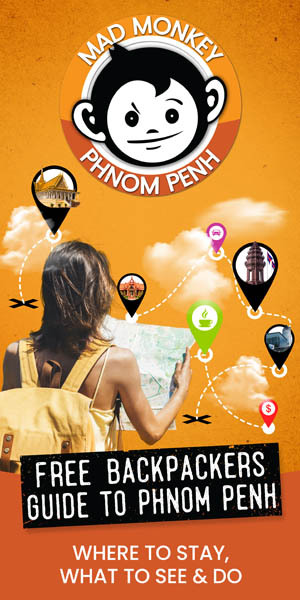 Jump in a tuk-tuk and find your favorite rooftop bar in Phnom Penh. 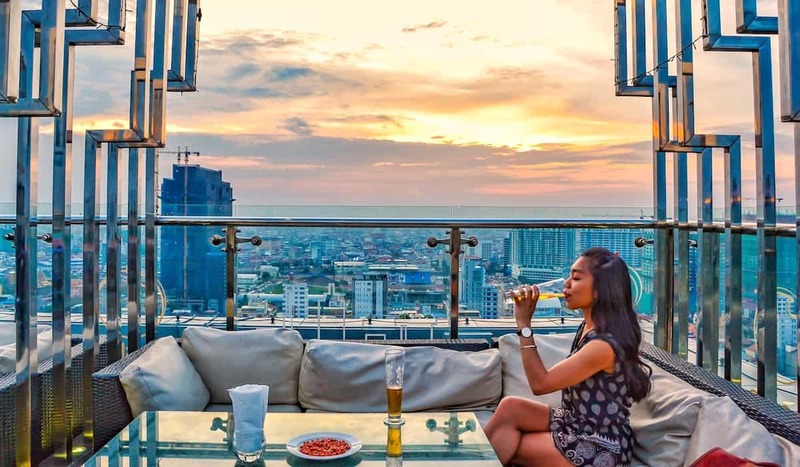 Watch the sunset and the city lights turn on while sipping on your favorite beverage. 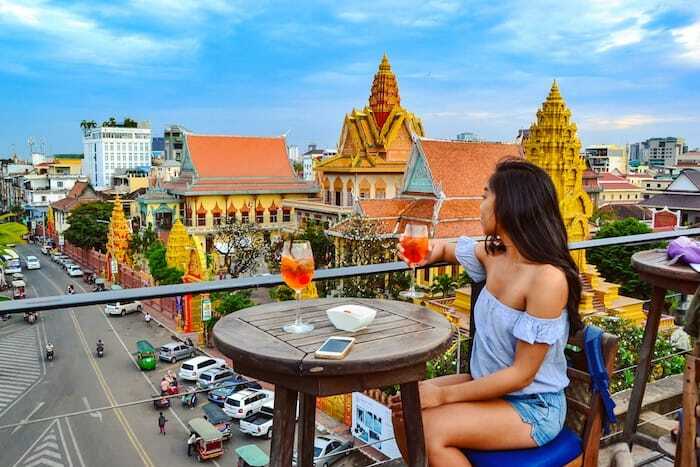 If you don’t want to travel too far from your accommodation, stay with us at Mad Monkey Phnom Penh and enjoy our very own rooftop bar! We’ve got weekly events including a pub crawl, games night, Khmer family style dinner, beer pong tournament, live music and BBQs!